I’m a Creative Technologist with a background in computer science, design and user experience. For five years I crafted and carried out the vision of Night Zookeeper as its Technical Director, aiming to make children more creative through reading and writing. I went on to work on award-winning interactive campaigns at Penguin Books before joining BBC Research & Development, where I now explore the future of online news. Our goal as a team was to create interactive spaces which would help reach new audiences. Half of it was finding an appealing concept, and the other was helping readers see the books in a different light. Oftentimes a book, particularly non fiction, can seem a little out of reach when in reality these books are made to be accessible. It’s easy to imagine someone dismissing a book because they think “it’s not for me” even before they’ve opened it. All they need is someone to shine a light in order for them to see the book for what it really is. 30 years ago, Richard Dawkins wrote a suite of computer programmes to demonstrate evolution in action. We brought Dawkins’ code back to life, making it available in the browser for the first time. 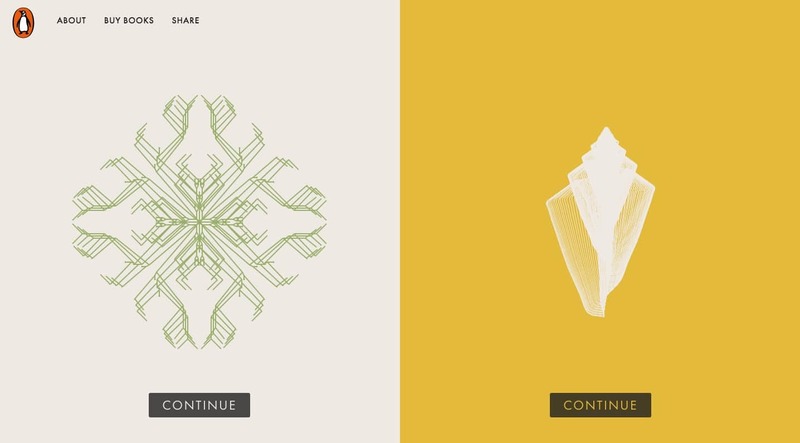 We also used the code to generate unique covers for each of the three books Penguin re-issued, each copy featuring a unique biomorph, shell or wave pattern. The challenge in converting what’s effectively a research tool into an accessible interactive game lies in abstracting what’s not necessary for the user to understand, and emphasising what’s taken for granted in the original presentation. For instance, in the original programs you could breed creatures continuously but seeing the consequences of your actions over multiple generations was almost impossible. Instead, by using a tree similar to phylogenetic trees, we made it possible to visualise multiple generations from multiple creatures at the same time. It now clearly shows the difference in offsprings over time. Realising how far you had come from your original creature but how closely related they can seem is part of the magic. When it came to manually tweaking your creature, replacing the series of obscure numbers was crucial to make the process more accessible. We wanted the user to feel like they could elongate and squish their creature by hand. Given that the genes have a high interplay, we paired the relevant ones together and plotted them on an interactive surface. This way you can make your changes in the physical space rather than in number space like the scientific original, and you get something closer to direct manipulation. 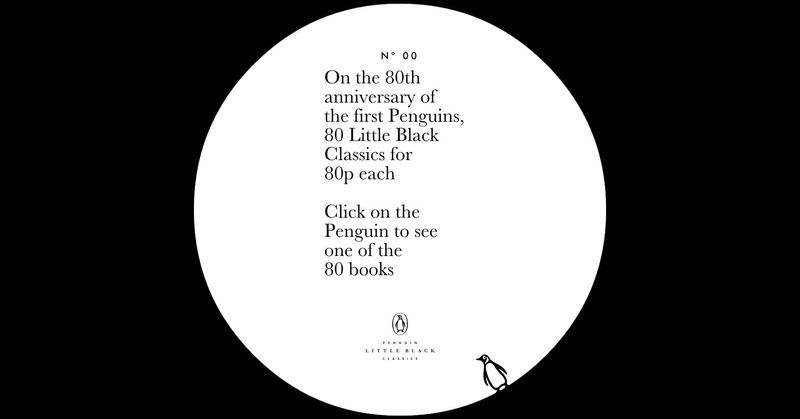 The Pocket Penguins website was designed to showcase the simplicity and the quality of the books as objects. The series has a very minimal design which lets the content speak for itself and the website echoes that by putting an extract for each title, emphasising the use of quotes to hook the readers into the rest of the text. To enhance the physical aspect of the series we also include 3D renders of the books with a 360º view. Getting the homepage right was crucial, presenting all the elements we thought were essential to the series in a playful but also reminiscing of high end brands like Apple. 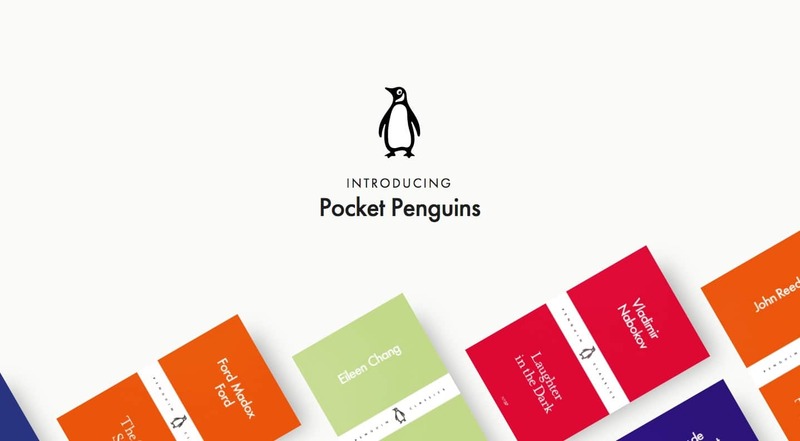 The Pocket Penguins website has won two Lovies, one for Best Home/Welcome Page and one for Best Brand Microsite. A digital narrative that brings to life Carlo Rovelli’s bestselling book Seven Brief Lessons in Physics. The book, which explains our universe and the evolution of physics in seven short, simple lessons, has a striking cover. The website uses the same visual language and we crafted a unique interactive animation for each of the chapters. The resulting animations allow readers to experiment with the principles of physics in the most unusual ways, and are accompanied by audio and text extracts to explain what’s happening on screen. At the click of your mouse, particles swirl and undulate, multiply, scatter, disappear and explode, all by the hundreds. 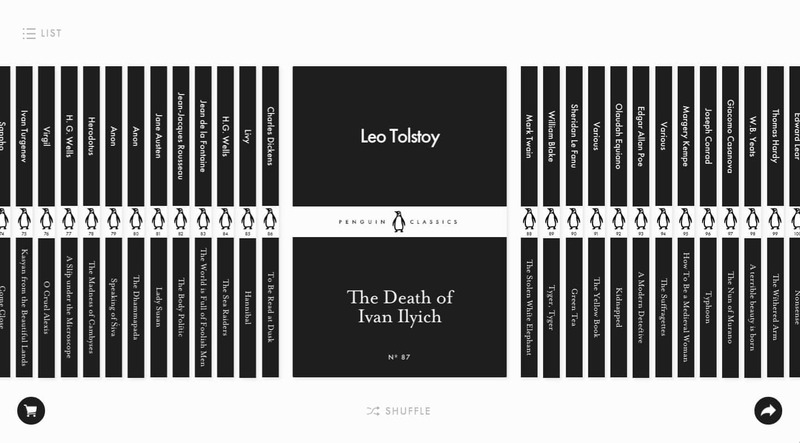 The Little Black Classics website is now in its second iteration. The first version was an iPod clicking wheel inspired interface which allowed the user to flip through the list of 80 ttiles very swiftly. For the second version, which included 46 more books, we revamped the interface with a familiar bookshelf look, reflecting the way these books were presented in bookshops, whilst retaining the original functionality of the first website. The website was extremely successful in driving pre-orders and was an important point of contact for customers to discover the series. Night Zookeeper is a website to help children to be more creative online. It’s a writing tool that takes the shape of a game that students can play and teachers can monitor. Entire lessons, custom or pre-made, can be taught through the website whilst the story, characters and game encourage children to produce their best writing. 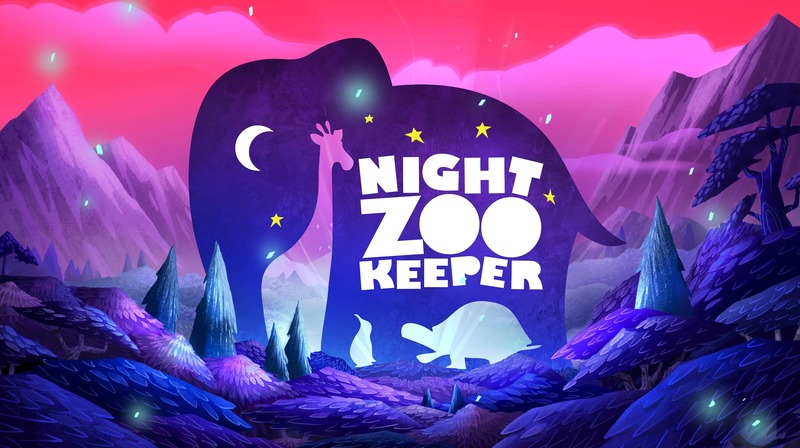 Night Zookeeper was nominated for a Children BAFTA award as well as received accolades from The London Book Fair, BETT and Design For Experience. As one of the founders and Technical Director of Night Zookeeper, I was in charge of full stack development and project management. We built and designed a cross platform client side architecture, hybrid mobile apps all supported by the same API backed by Node.js. I directed and carried out the technical vision of the business, consistently allowing it to move fast, innovate and experiment. To that effect, I was heavily involved in the product design process and user experience, leading student test sessions to come up with features and refine the interface. Technologies used include Node.js, Hapi, HTML5 Canvas, MongoDB, Backbone.js, CoffeeScript and Phonegap. I’ve worked on numerous freelance projects of various sizes. Highlights include pelicanbooks.com (maintenance, improvements & new checkout flow), thehappyreader.com (bespoke CMS & magazine subscription backend) and studiojoyride.com the in house agency of The Lad Bible (landing page development). I’m available for freelance, feel free to send me an email at my name dot my last name @gmail.com. You can also follow me on Twitter and Github, should you be so inclined. In the last few years my work has been featured in magazines, on television and radio. Some people have written some very nice things about it too and some even have awarded us prizes. Here’s a short selection.